IDEA #73. Think of some silly—or important, even—task that you have to do and then build a “machine” out of junk and duct tape (or other cheap and easy-to-find materials) that performs the task. You can decide to make the machine beautiful and well-crafted, or you can decide to make it utterly ridiculous—the more duct tape, the better! The cartoonist Rube Goldberg was famous for designing “machines” of absurd complexity that accomplished everyday tasks, and today there is a rich tradition in both engineering and design in using unlikely materials and over-engineering to create simple machines—usually in fact a combination of the classical simple machines (inclined plane, wheel and axle, pulley, wedge, screw, and lever)—to do things that are either necessary and useful or in fact totally useless. No material has lent itself more to the uses of amateur inventors and engineers than duct tape, the ubiquitous silver-gray fabric-based tape that seems to stick to everything, especially itself, and that has famously been reported to have been used to perform emergency repairs on everything from shoes to airplanes. A pair of good scissors, some sacrificial cardboard boxes and a few sticks of wood are all the raw materials a young engineer might need to create almost anything; if other materials are also at hand, even Rube Goldberg’s creations might only be a starting point. This is the unlikely time to introduce to the youngster the concept of scientific elegance. Some engineers are naturally tidy in their work and have an inborn sense to design that makes everything they produce look somehow elegant—simple, clean-lined, neatly made. Elegant solutions in science, engineering, and mathematics combine simplicity and grace, without extraneous elements, and the quest for elegance in an activity like this reduces the Rube Goldberg aspects to a bare minimum. On the other hand, there is an exuberance in recognizing that anything made primarily of scrap and duct tape is in itself likely to be a assemblage of casually combined and inelegantly put together pieces, and that therefore a certain amount of extraneity is to be welcomed and even sought. Why not make the thing as baroque as possible, with added elements that have nothing to do with function but add whimsy to the form? If the object reminds one a bit of a rabbit, why not add long ears, whiskers, and a cotton tail? This activity is about invention, but above all it is about allowing imagination and inclination to run a little wild. 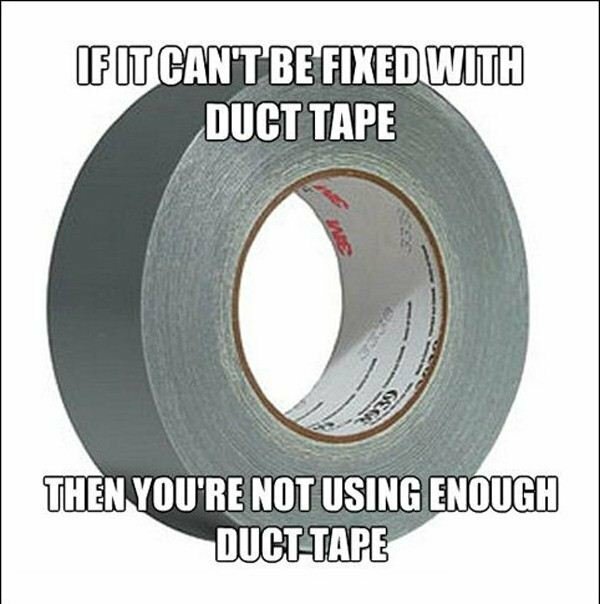 Elegant or not, the duct tape invention is part of great way to explore how things work and how they go together—learning a bit of physics and industrial design along the way. #12. Write a children’s book. Illustrate it yourself, or ask a friend to help. Field test your book by reading to children of the right age; ask them for feedback, and make changes until you have a book that kids really like. Once you know have written something appealing, find someone to publish your book. IDEA #12. Write a children’s book. Illustrate it yourself, or ask a friend to help. Field test your book by reading to children of the right age; ask them for feedback, and make changes until you have a book that kids really like. Once you know have written something appealing, find someone to publish your book. What was your (or your children’s) favorite children’s story? Do you still have a copy around? There is no better place to start imagining writing one’s own children’s book than by carefully examining the form and structure of another. The secret to most great children’s books is that they combine a great simplicity of form—relatively few words to a page, short sentences, few characters—with a wonderful complexity or open-endedness. The book suggests or evokes rather than spelling out aspects of the character or the story. Goodnight, Moon, for example, provides a prop-filled setting but almost no context; the story could be about, and for, anyone, so every child—and every parent—feels included in the narrative, even if the great green room does not look much like home. The next Goodnight, Moon might be a bit much to hope for, but creating a storyline and illustrations that might entertain a young neighbor or cousin is simply a great way to harness imaginative power. Which comes first, the pictures or the text, makes little difference, but the story should above all appeal to the writer, and if there are opportunities to introduce whimsy or humor—even irony—by all means take them, as even toddlers know a good joke when they encounter it. Reassure the young author that the illustrations do not have to look professional—even many published children’s books are a bit rough in the visual department, as evocative is perhaps even more effective than precisely representational. An important physical characteristic for a children’s book is that it can be seen by the listener even as it is being read aloud—larger drawings are better than smaller ones, although some detail is always welcome. The proof of the pudding, so to speak, will be the first time the story is shared with a young listener. Think of the first audiences as being like focus groups—gather feedback, and make changes as necessary, at least up to the limit of artistic integrity. A final, presentation copy can be made as a gift for a young friend, although the author may want to run off a color photocopy (although this can be expensive) to keep—or to submit to a publisher!